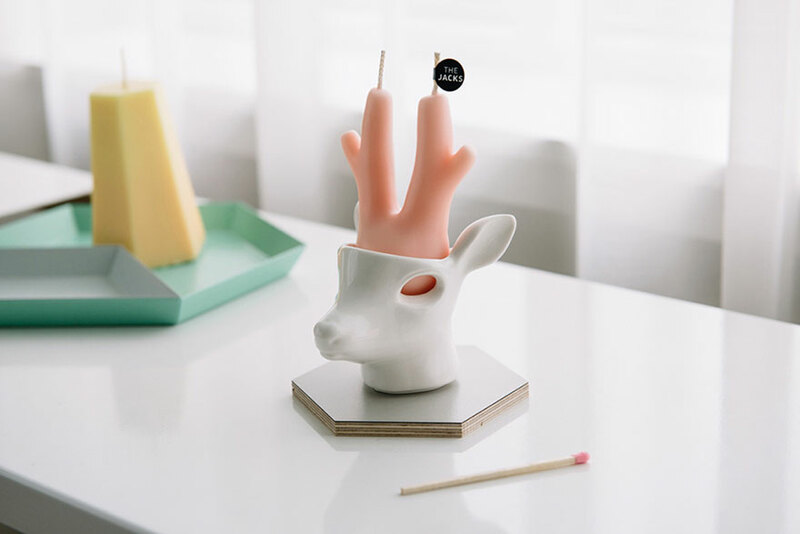 The candles were designed by The Jacks, a design team based in South Korea. 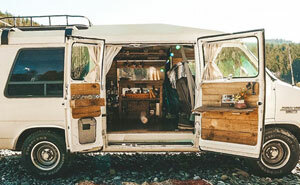 Their Kickstarter campaign (which has already reached its goal but is still accepting contributions) outlines the journey that their idea took from concept to fabrication. Both the candle holders and candles had to be optimized to ensure that the scented wax would flow through the eyes the way they wanted it to. 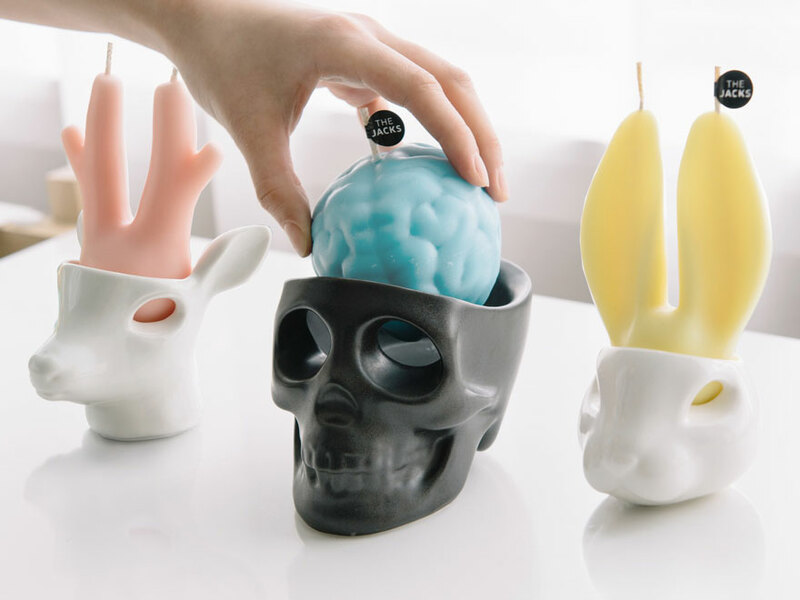 If you like these creepy and creative candles, be sure to check out The Jacks’ website and contribute to their Kickstarter, too! They also work as planters! 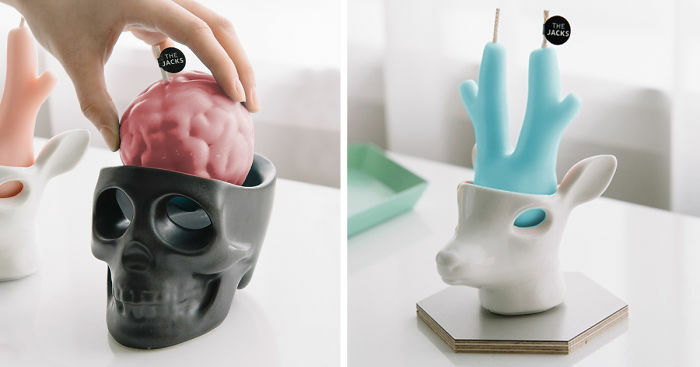 Looks like it defeats the purpose of candle holder since the wax will just drip out onto whatever surface it's sitting on. Looks really cool when it "cries" though! Just need to place it on a small plate or plater... no? why don't they come with a plate in the first place? Heck, even just a notecard.